E-Motion Robotics has state-of-the-art, large-scale 3D printer that can print objects as large as to develop custom mechanical parts. We can turn around a design in as little as one-day. We also provide 3D design services, using tools such as Autodesk 123D Design and SculptGL to create the 3D model based on your sketch. We also have the ability to scan in object and person. Come in for a 3D portrait session, and we will capture your favorite pose and combine it other geometries. The large-scale 3D printing capability also means we can create large items, including small chair stool, bookshelf, unique decorative vase, bottles, toys, lamps…; the possibilities are limited only by your imagination. 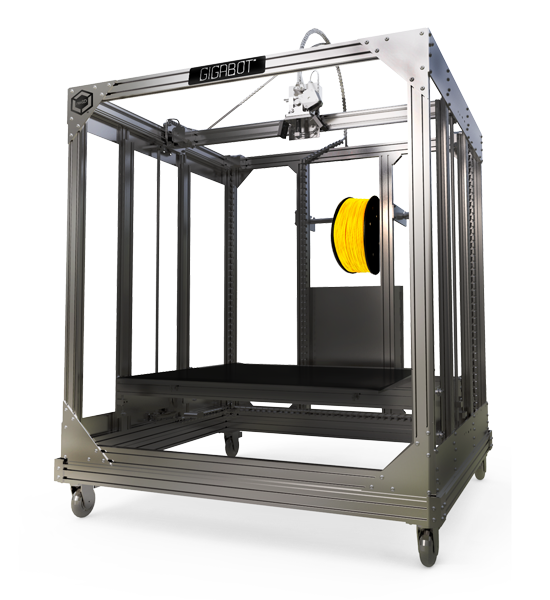 Contact E-Motion today to tell us how we can help with your 3D design and printing project! 3D scanned “Mr. Li” is combined with a circular base to create a statute. 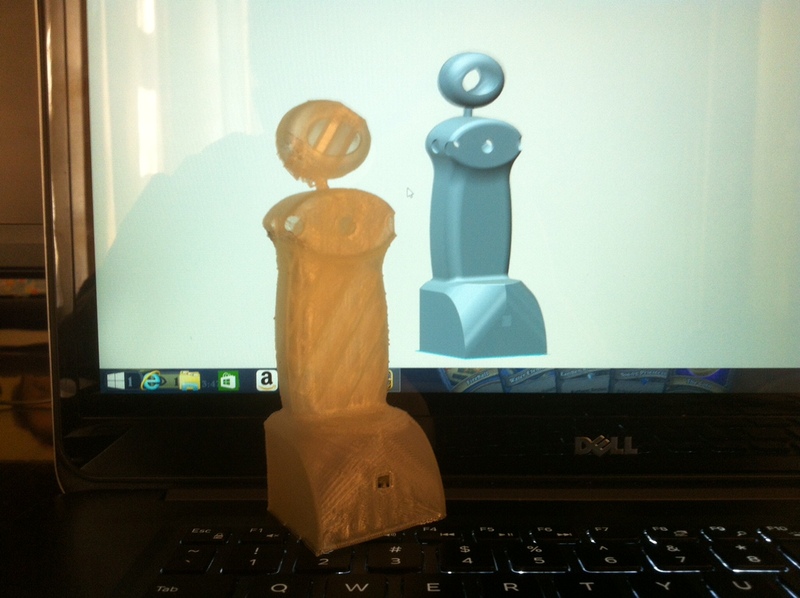 A student-created a robot body design in Autodesk 123D and realized it with 3D printer. 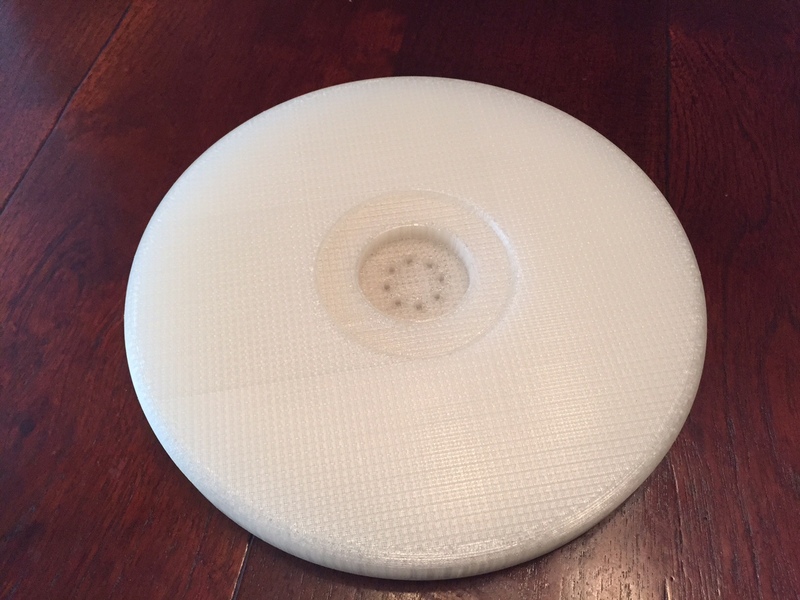 A 3D-printed spinning platform with bolt holes and recess for holding the thrust bearing.